Francis, rebuild my Church! That is how St. Francis of Assisi heard the call of Christ. It is also how Jorge Mario Bergoglio, at the age of 76, and a Jesuit, seems to have accepted his election to the papacy with the choice of a name that no other pope has ever chosen. Who is Pope Francis, elected in one of the shortest conclaves in history? Who is the man chosen to be the first pope from the Americas and the first Jesuit pope? How does he see the world and his ministry? How does he understand his call to serve Christ, his Church, and the world? 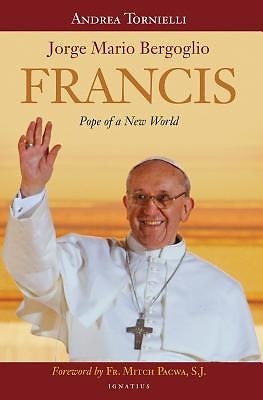 In short, what is the mind and heart of this new pope of a new world--of the Americas and the rest of the world of the 21st Century?